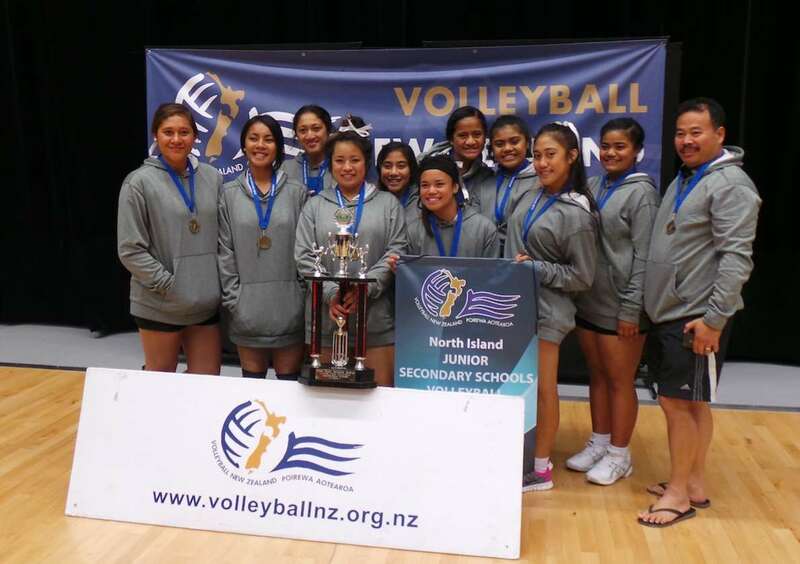 Both girls and boys junior volleyball teams headed to last weekend's North Island Secondary School champs with their eyes on gold, and from the outset established themselves as clear threats in the competition. "No one should ever underestimate South Auckland teams, our students hate to lose and love to win!" said Head of Sport, Ms Melina Martene. The girls went into the tournament seeded 14th and the boys 4th. Regardless of the seedings the girls headed down to Tauranga with every intention of winning, as did the boys. "We knew from the get go that would be a big challenge for the boys team considering the caliber of opposition, and that we have 4 year 9s in our team and 3 were in our starting 6," said Ms Martene. Both teams had trained hard in preparation for the tournament. Their on-court technique was backed up by solid support from the coaching unit, who made sure each athlete recovered after every game regardless of what time of night it was – including ice baths at 10.30pm at night and travelling back and fourth to our accommodation with hot and cold routines every day. Says Ms Martene "We couldn’t afford to take any short cuts on the court so we couldn’t do it off the court either." Energy requirements were closely monitored, with both teams always remaining hydrated and eating certain foods at certain times. Ms Martene rated Gail Taumafai as an outstanding player. "She was often the go to player when we really needed points, running middle she was almost unstoppable. The dedication to put their bodies on the line to pick up every ball was ever present." We knew with our boys from Auckland Champs that it was never going to be about who was better than us but rather could we maintain composure and keep performing under pressure. In the first set vs Western Heights (unbeaten all season and one of the tournament favourites) they didn’t think about what it was for, they didn’t think about losing, they just played and enjoyed the occasion and it showed. They took the first set convincingly, but in second set the momentum changed and we lost narrowly. In the third and final set the boys wore their hearts on the sleeves and the passion / emotion got the best of them, losing the set. Henry Ape, year 9, was described by Ms Martene as being "incredible" all tournament, "definitely one to watch, he has true passion for the game and is completely dedicated to the sport and his personal development." For the junior girls team it was a great win, and they were delighted to bring home the winners trophy. "Our boys they need to learn how to not fear defeat, their best is all we expect and if that isn’t enough on game day then so be it. 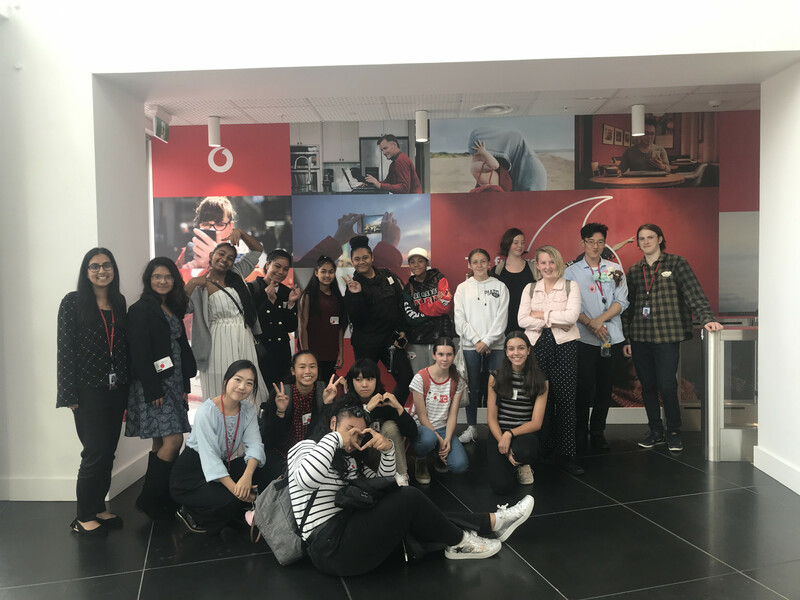 For so many the fear of failure is so strong it becomes an inner demon – I think we have all been there and in order to become great we must learn how to channel that fear into the will to win," were the wise words from Ms Martene. · Gail Taumafai – Captain. North Islands Tournament team and MVP of tournament. 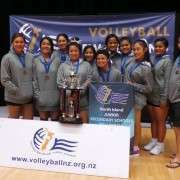 · Zebalda Aiono – North Islands Tournament team. · Wanyae SuafoA – North Islands Tournament team.